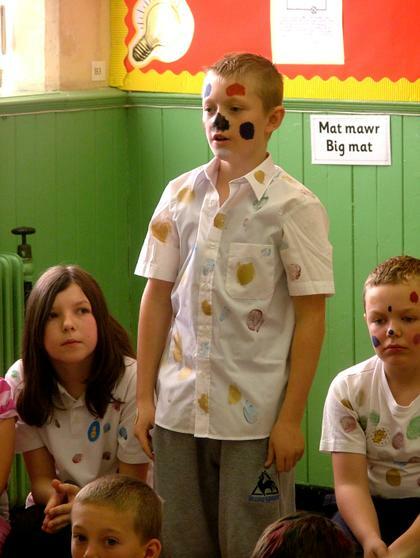 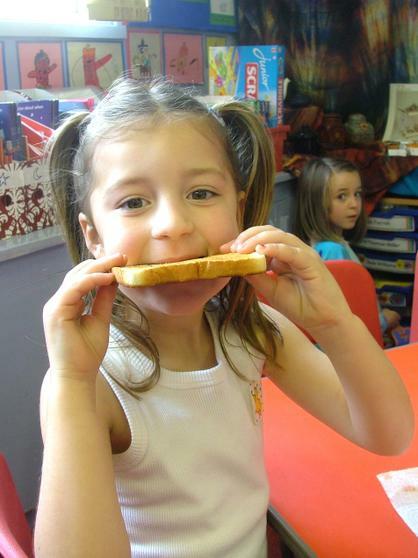 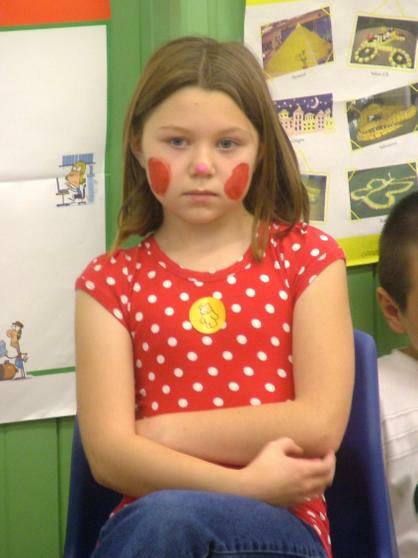 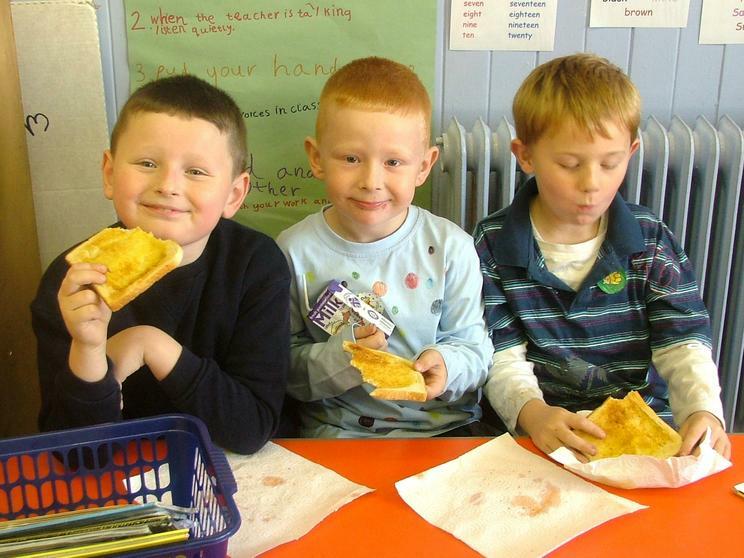 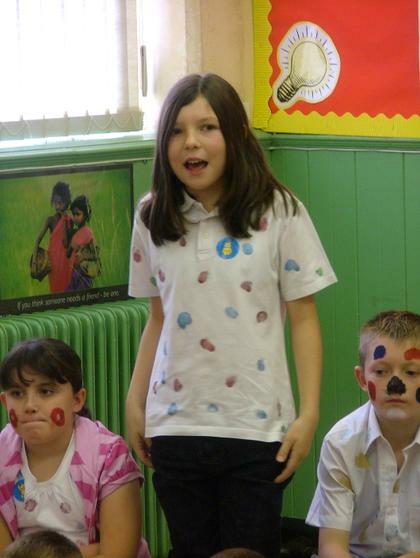 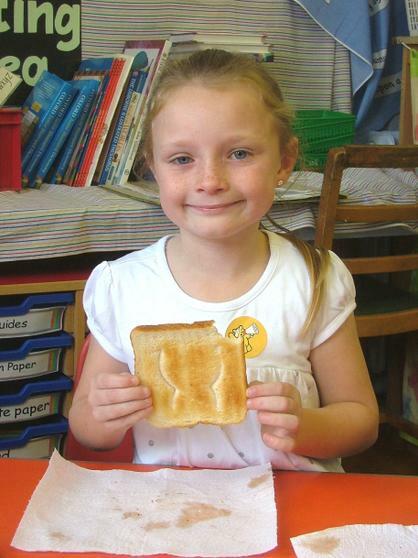 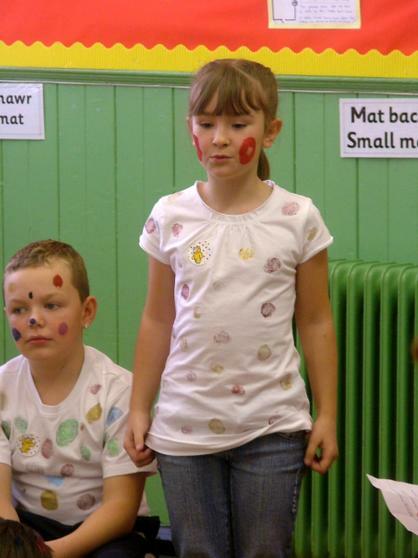 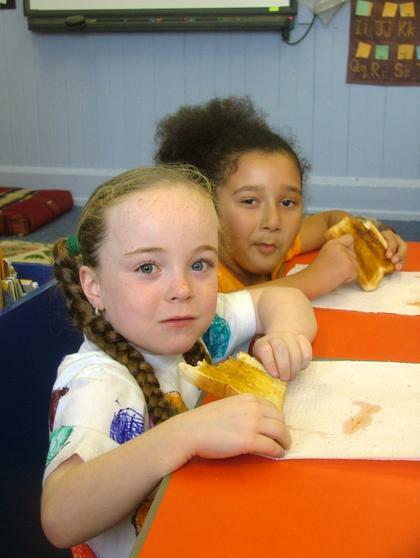 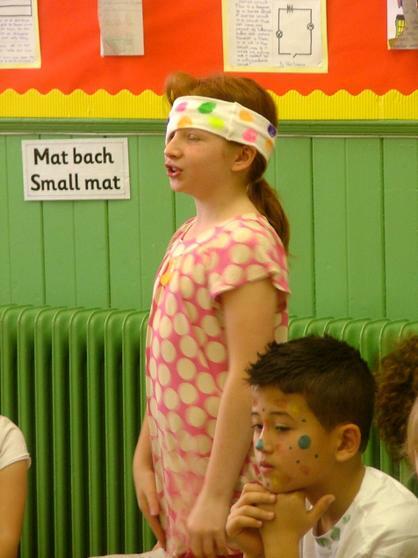 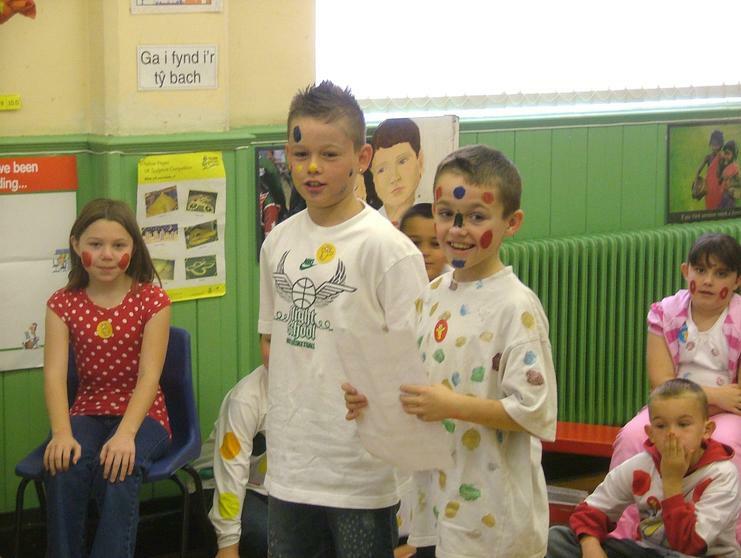 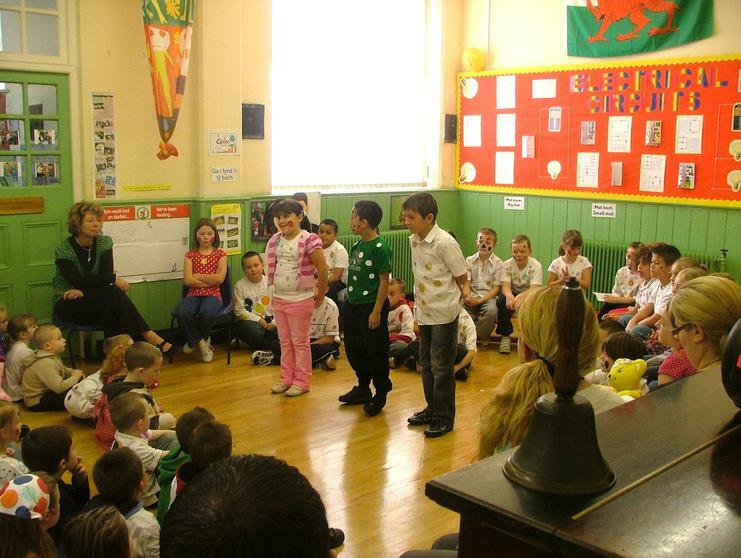 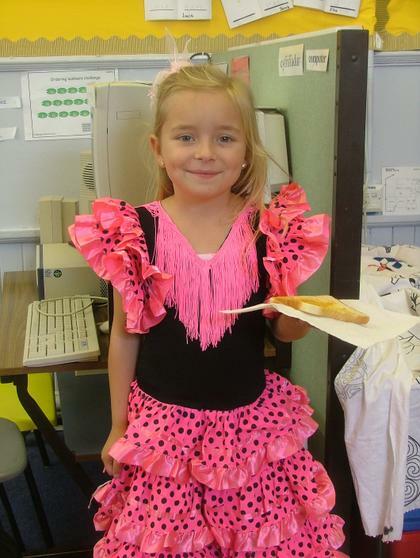 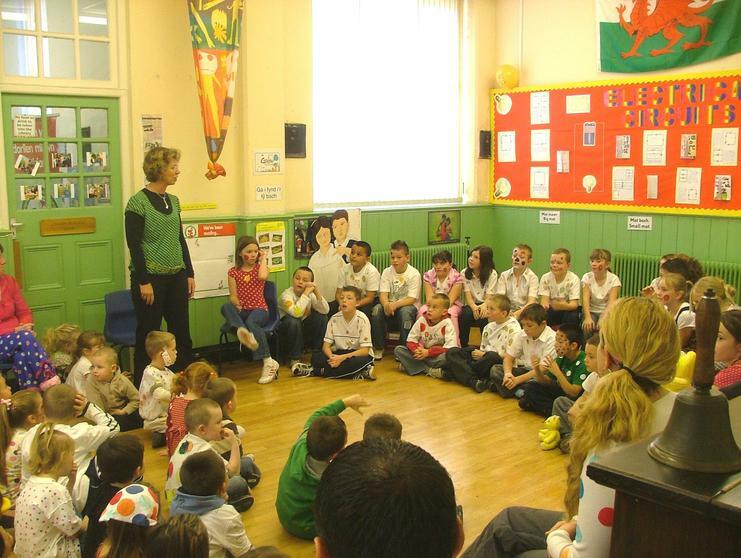 Millbank serves some of the economically poorest families in all of Wales yet we are very proud of the enthusiasm the children and their families have for supporting others in need. 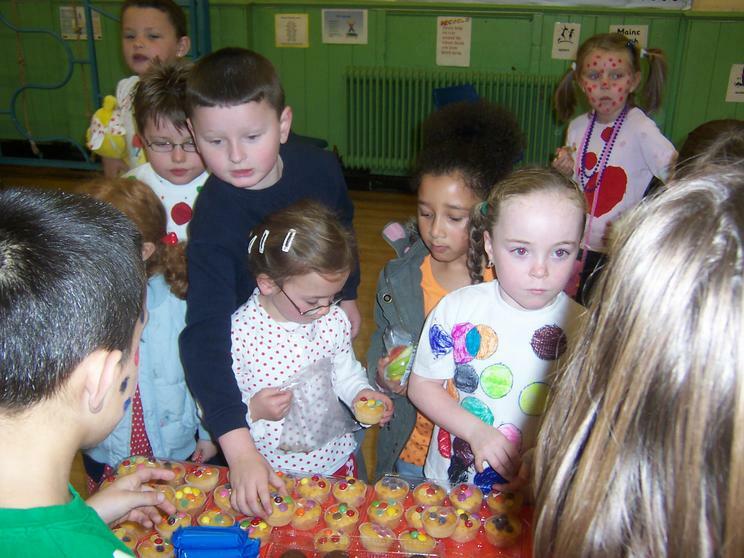 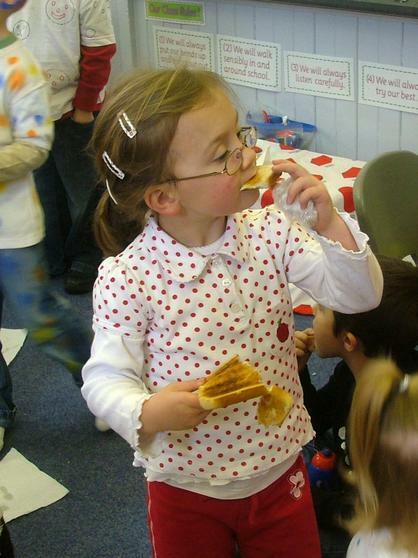 The children this term have already supported Mari Curie, British Legions Poppy appeal and yet still raised £389 so a huge "Well done Millbank" and the school council who organised a series of events throughout the day from the ever popular cake sale to the talent afternoon. 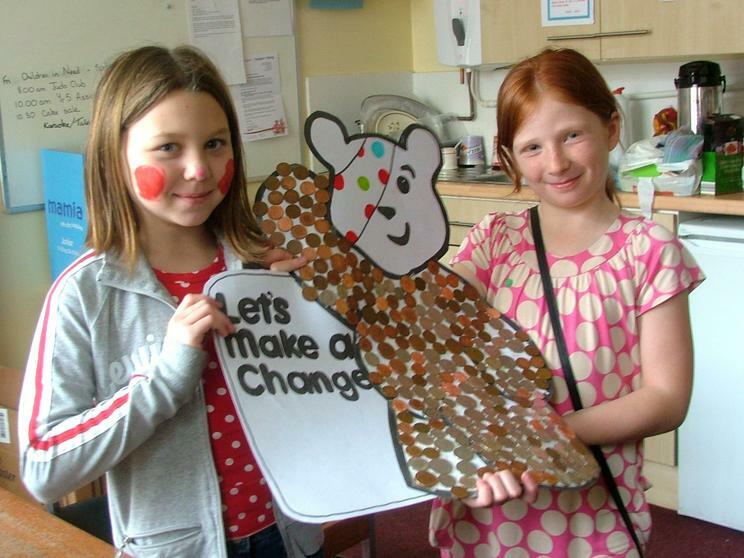 "The first televised appeal was the 1955 'Children's Hour Christmas Appeal', presented by Sooty and Harry Corbett. 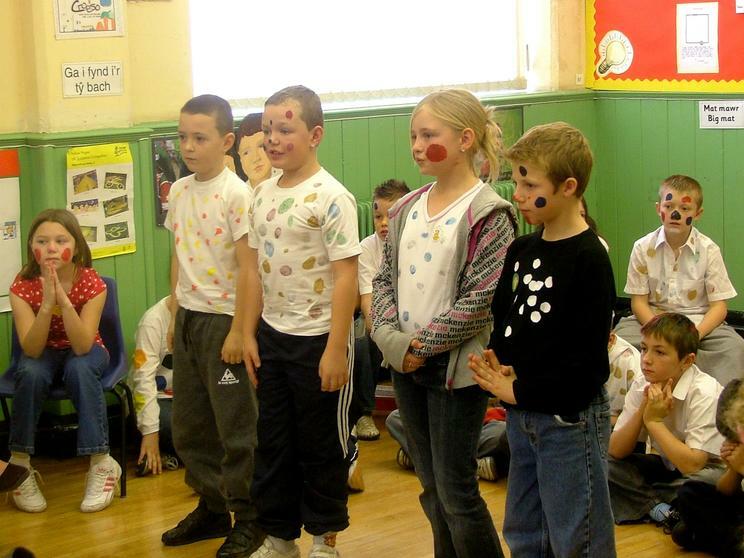 The Christmas Day Appeals continued on TV and radio right up until 1979, raising a total of £625,836. 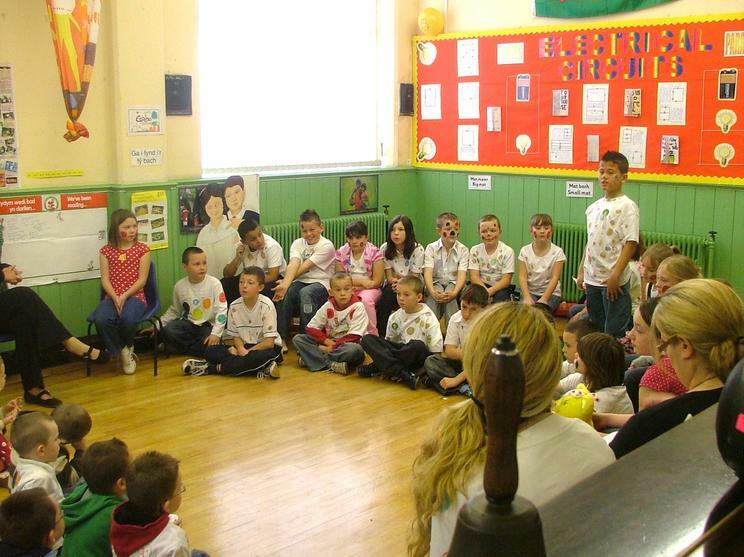 The presenters included Terry Hall, Eamonn Andrews, Leslie Crowther, Michael Aspel and the rising star of the Radio 2 Breakfast Show - Terry Wogan - who made his debut appearance in 1978. 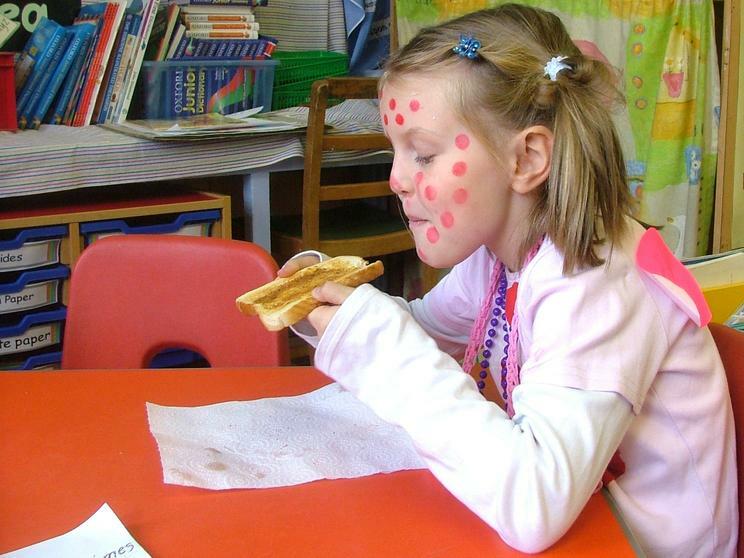 In 1980 the appeal was broadcast on BBC One in a new telethon format, hosted by Terry with Sue Lawley and Esther Rantzen. 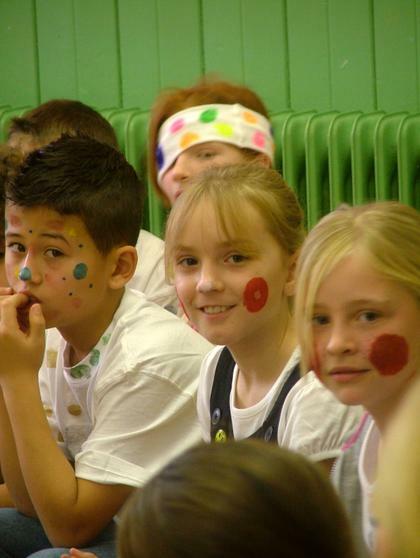 The telethon captured the public's imagination to such an extent that the donations increased dramatically and broke the £1 million mark for the very first time. 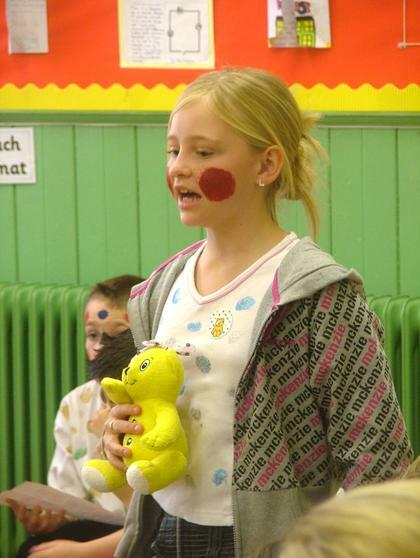 Pudsey made his television debut in 1985 when Terry introduced the new, brown cuddly mascot to the audience. 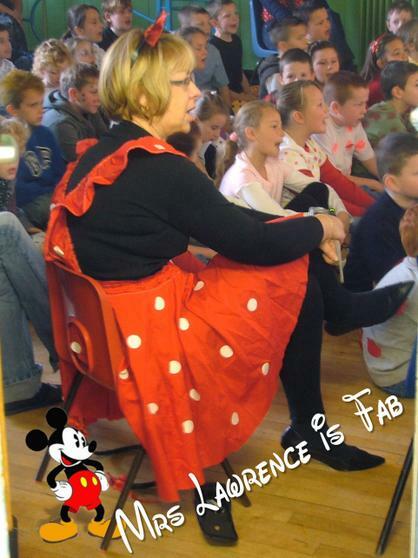 He was designed by Jo anna Ball, a BBC graphics designer, who named him after the West Yorkshire town where she was born. 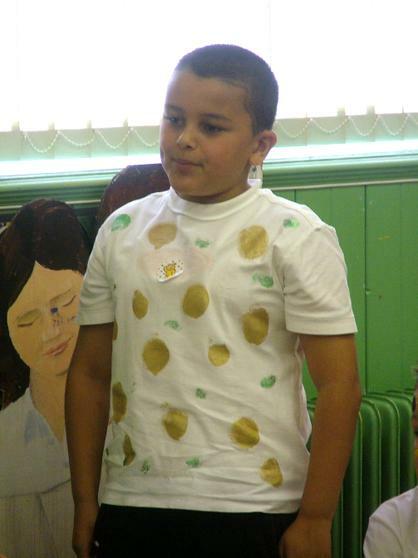 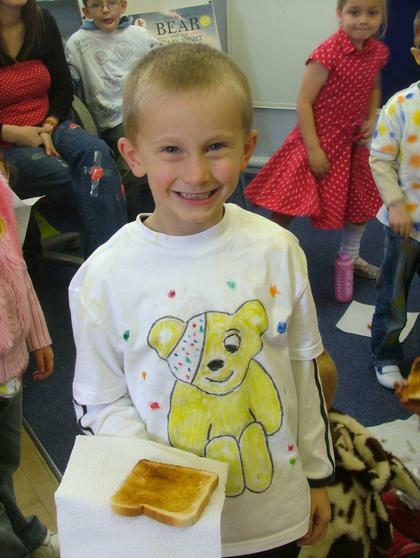 He proved very popular and returned as Children in Need's official logo the following year with his design amended to that of a yellow bear with a red spotted bandage. 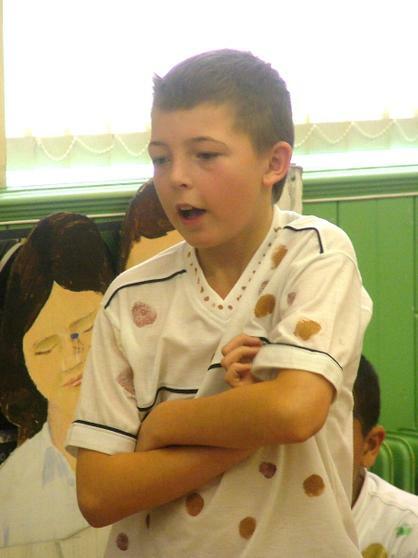 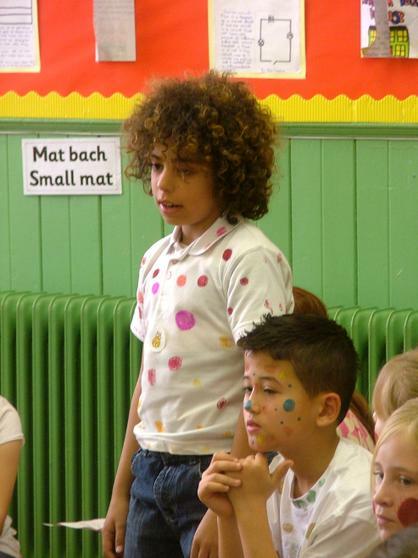 This year he has changed again "
Year 5 also had another little pop quiz for the teachers, which you can see on the small video clip. 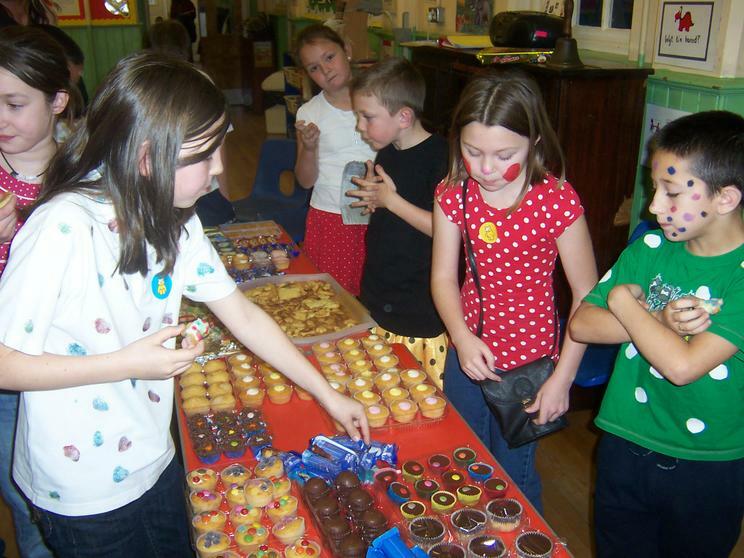 These are just some of the lovely cakes that parents and staff donated to the appeal. 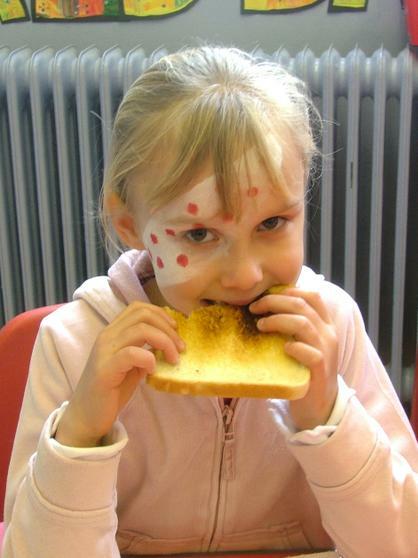 The children loved decorating them and making them extra spotty almost as much as they enjoyed eating them! 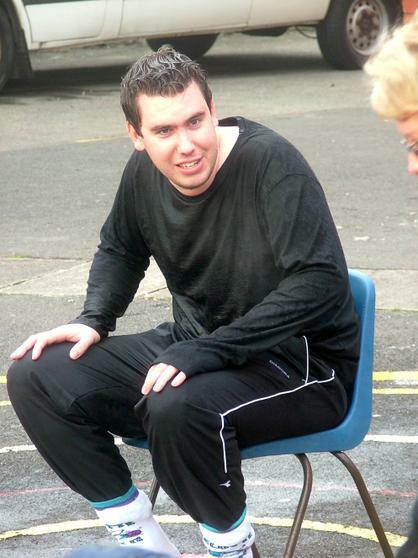 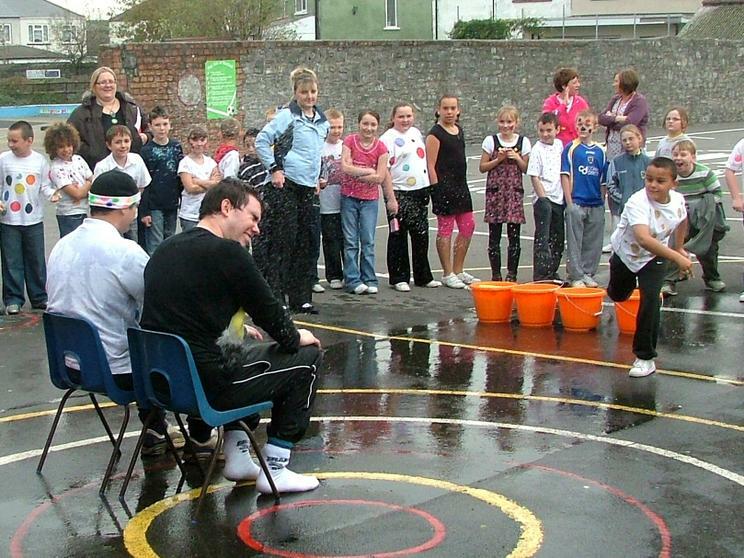 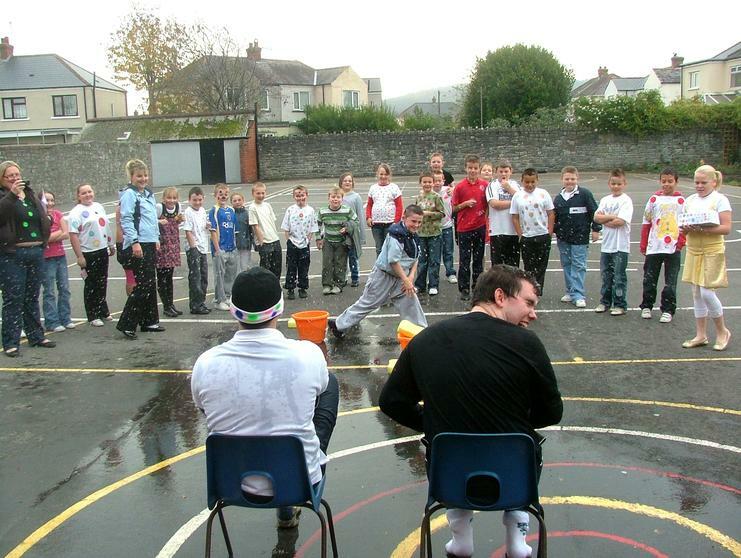 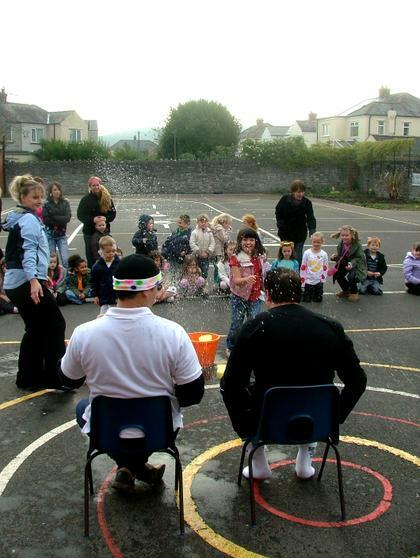 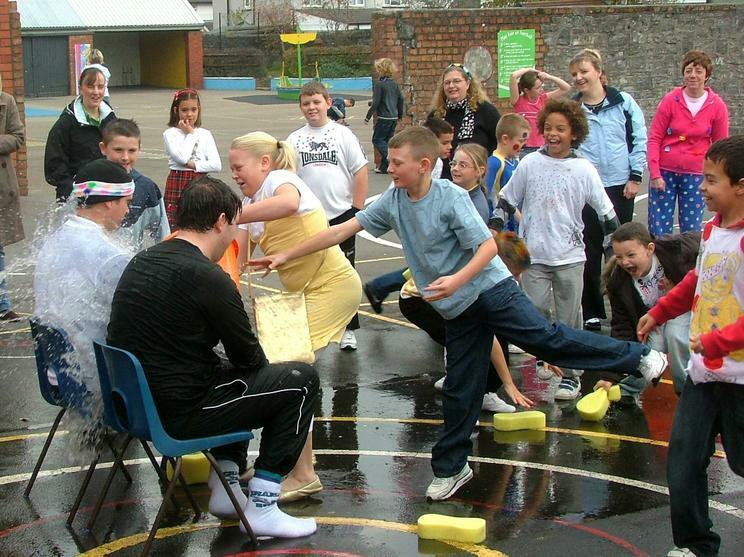 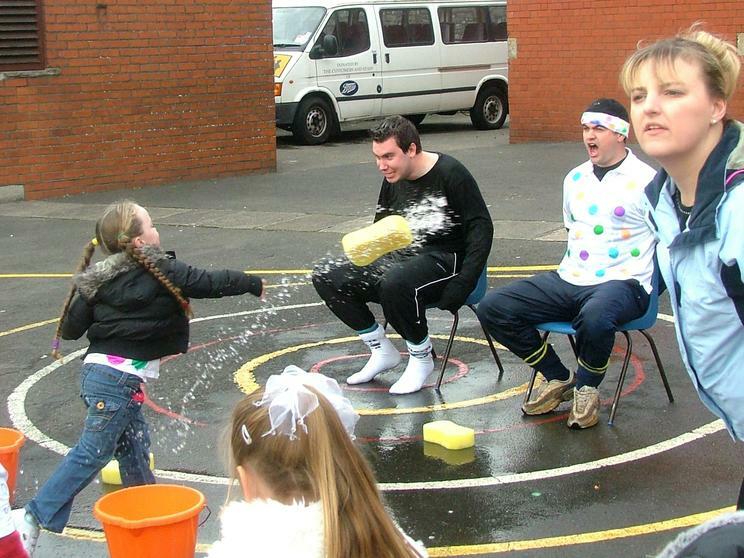 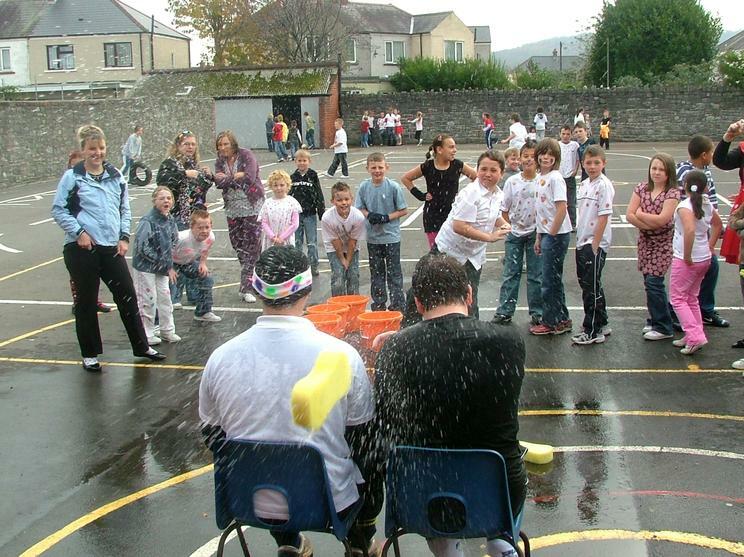 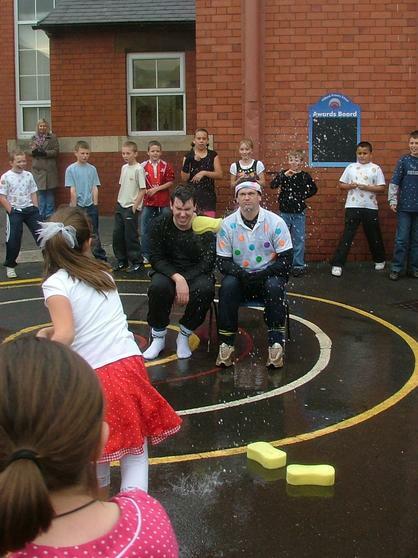 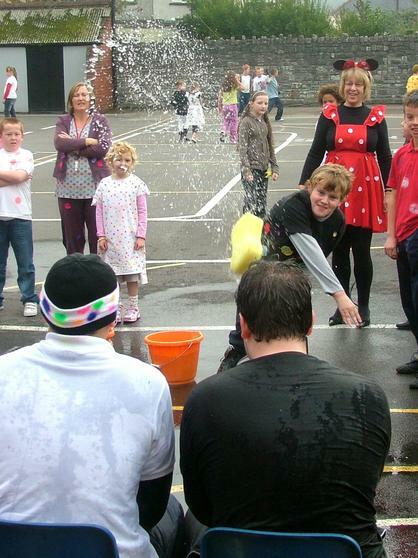 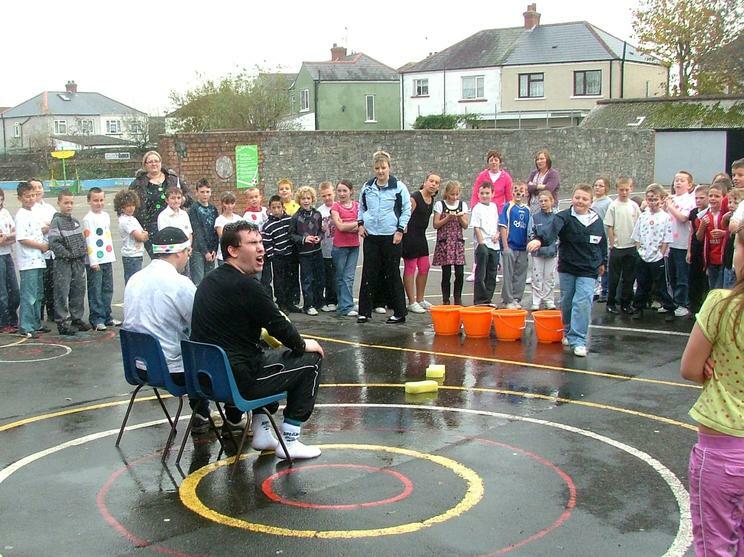 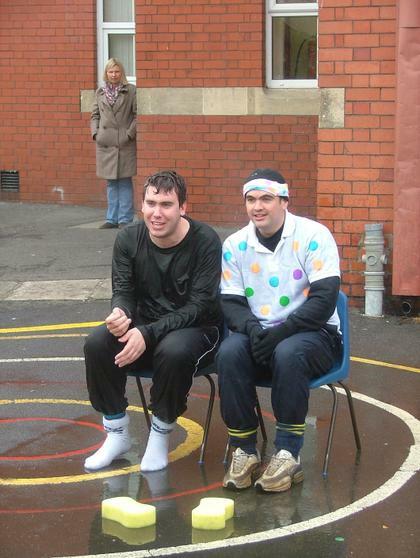 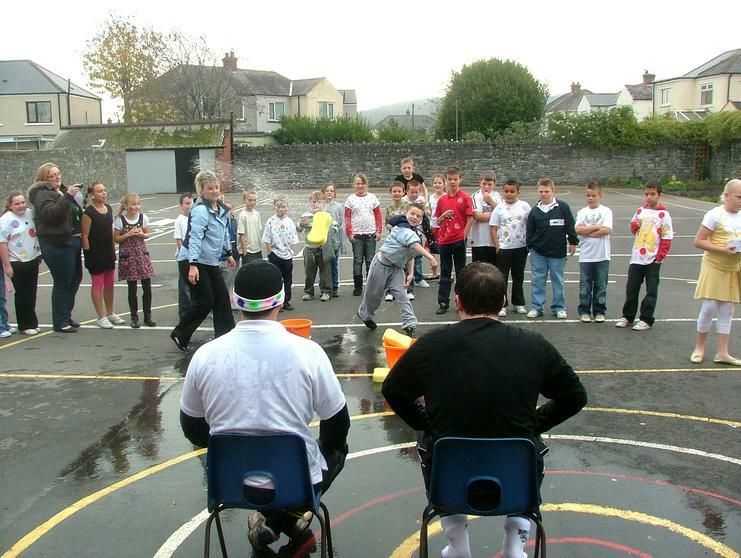 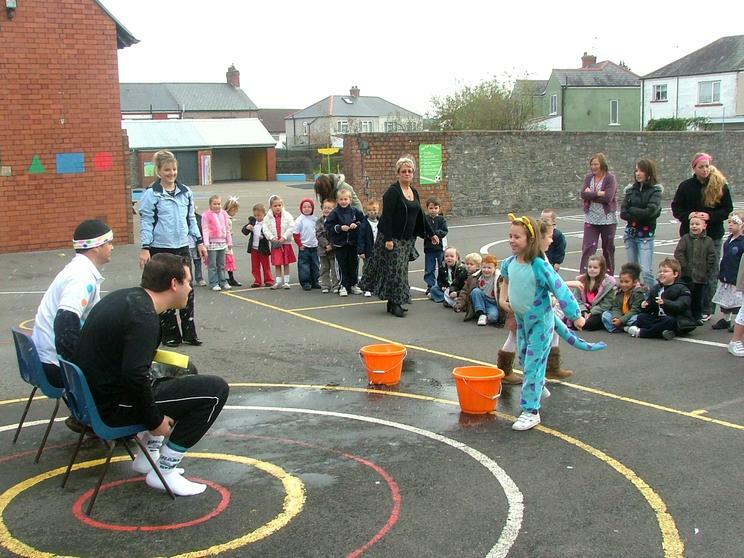 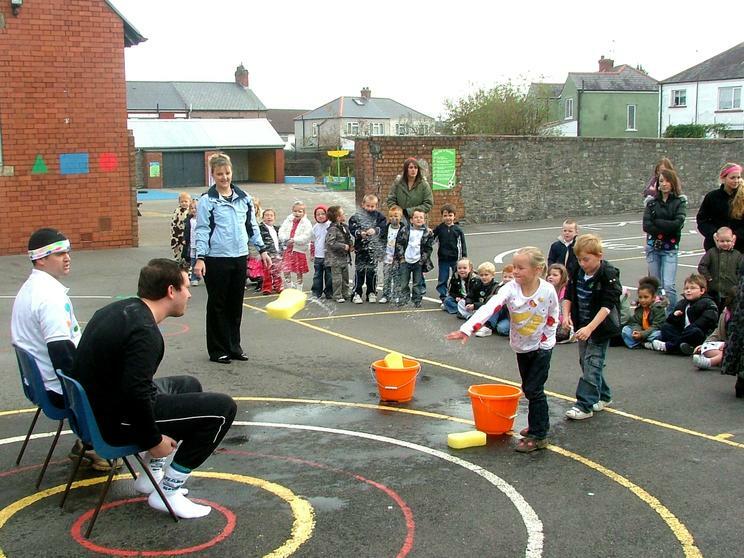 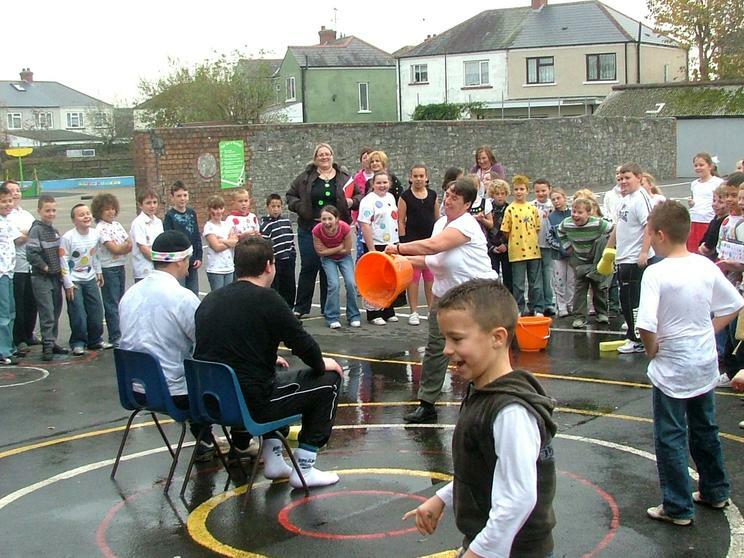 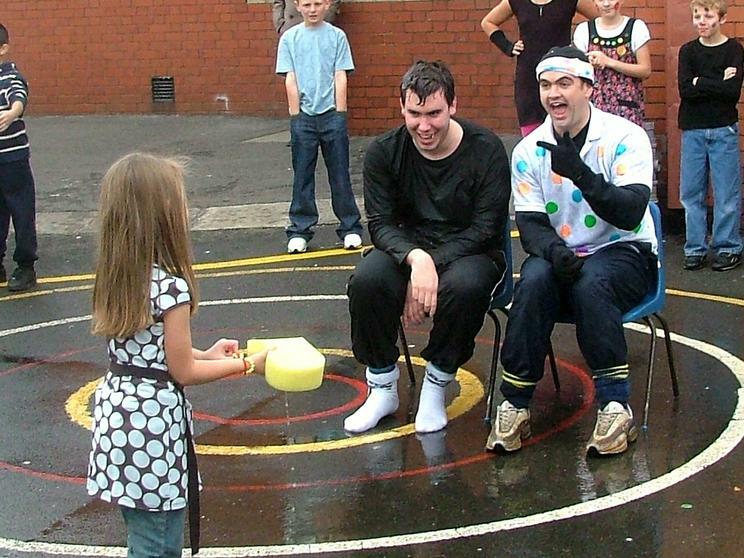 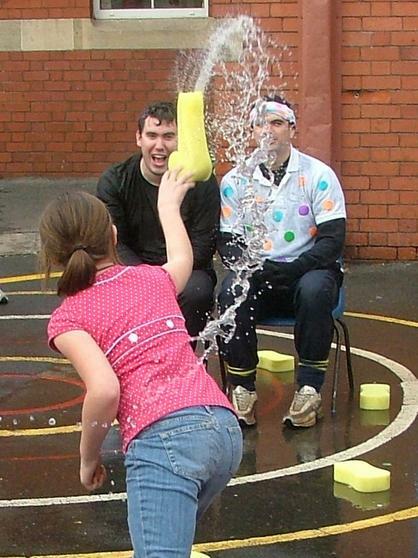 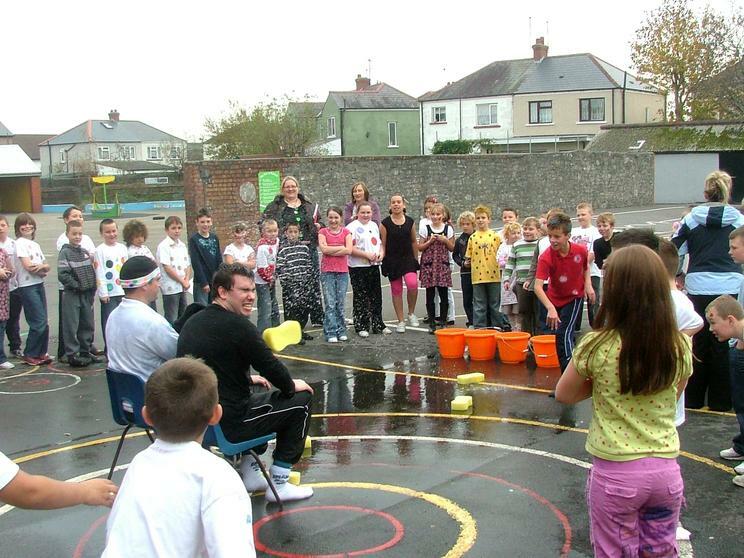 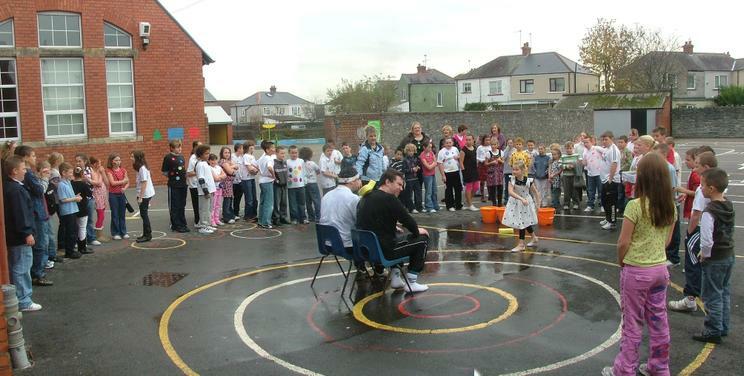 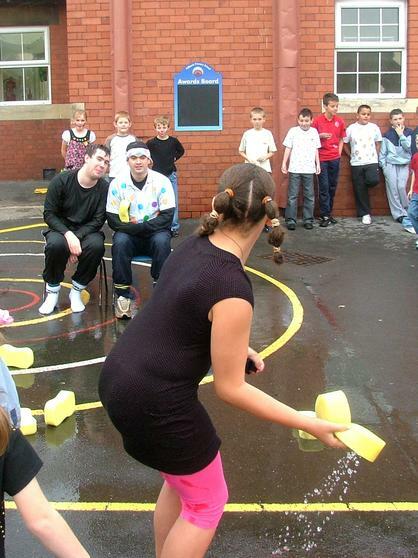 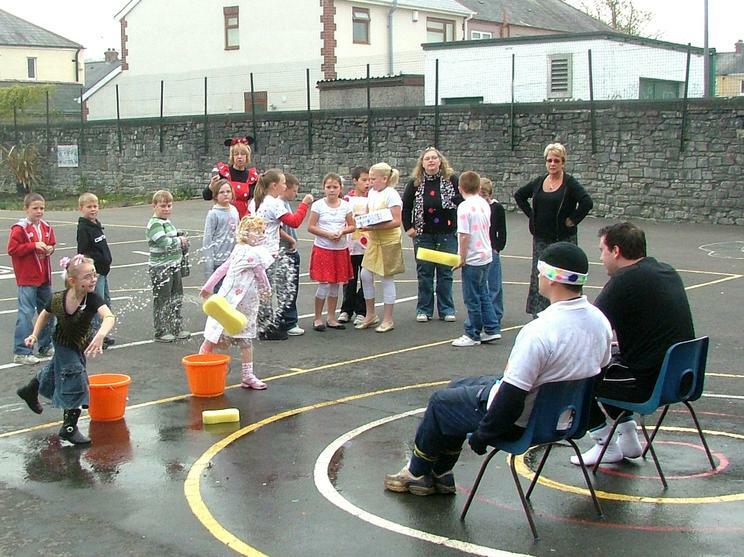 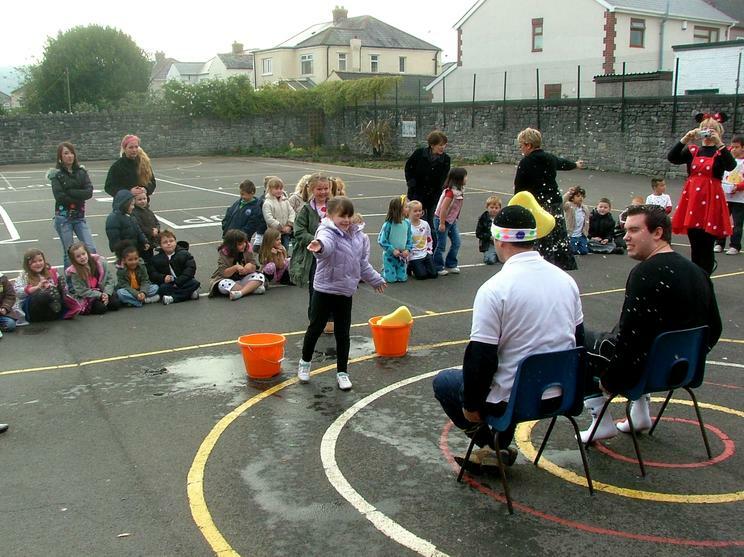 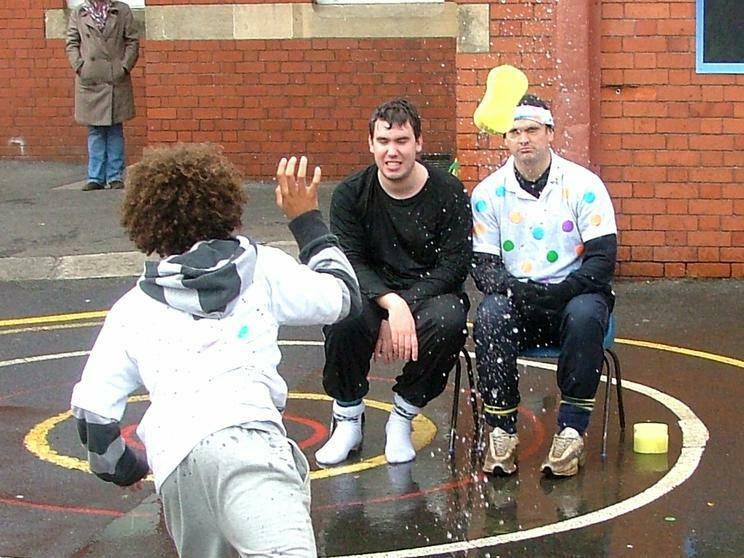 Despite it being a bitterly cold November day Mr Vaughan and Mr Carne agreed to have wet sponges thrown at them to raise funds. 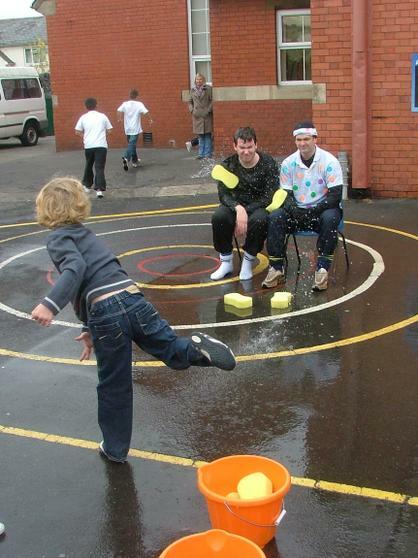 They themselves raised over £93 at £1 a sponge or £5 for teachers to throw a bucket- everyone thought it a wonderful opportunity! 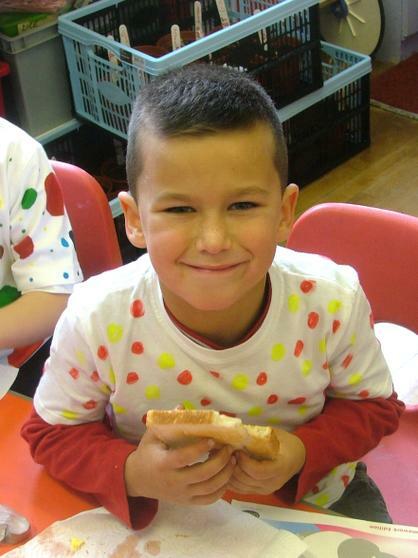 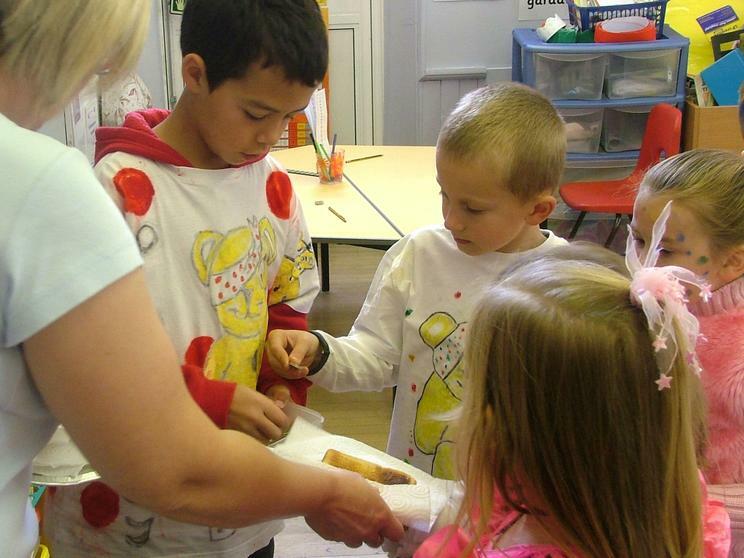 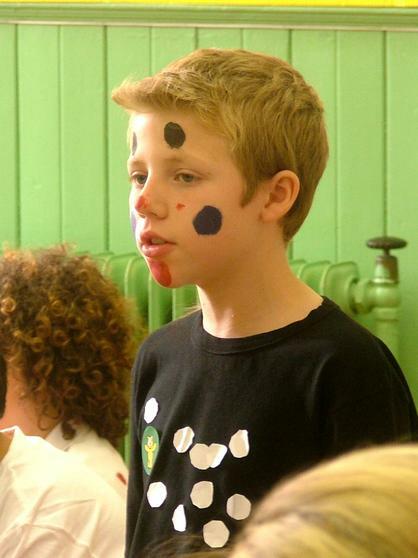 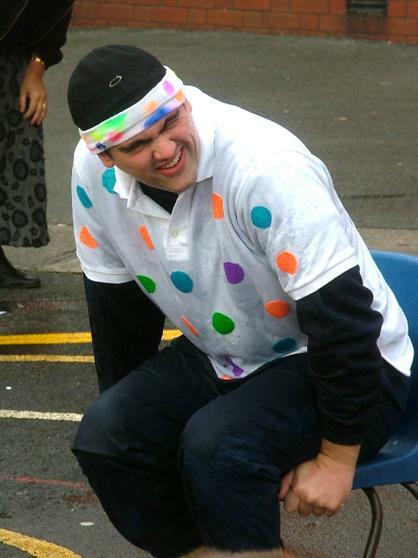 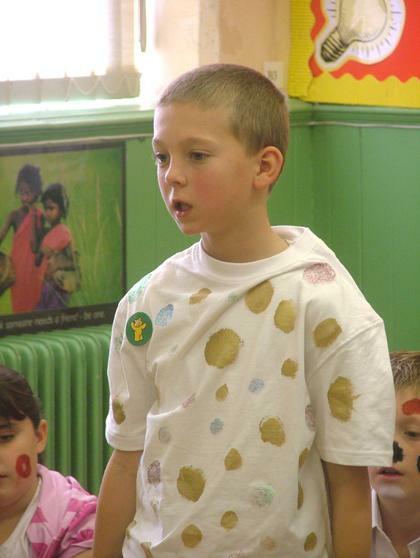 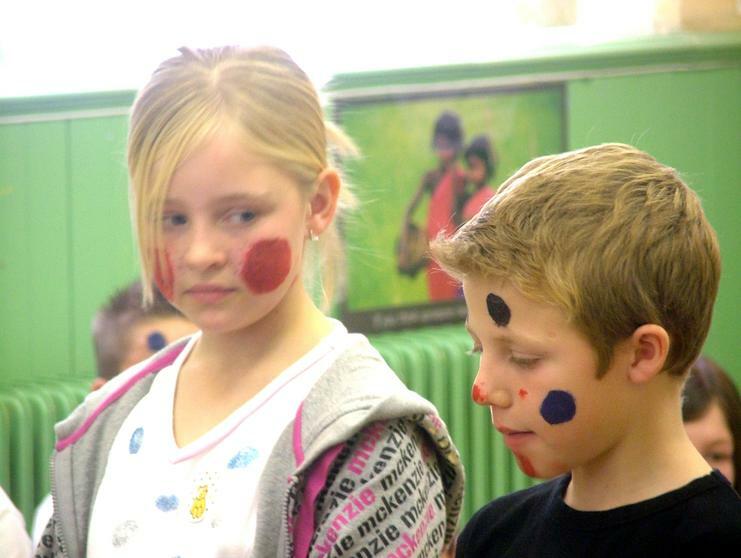 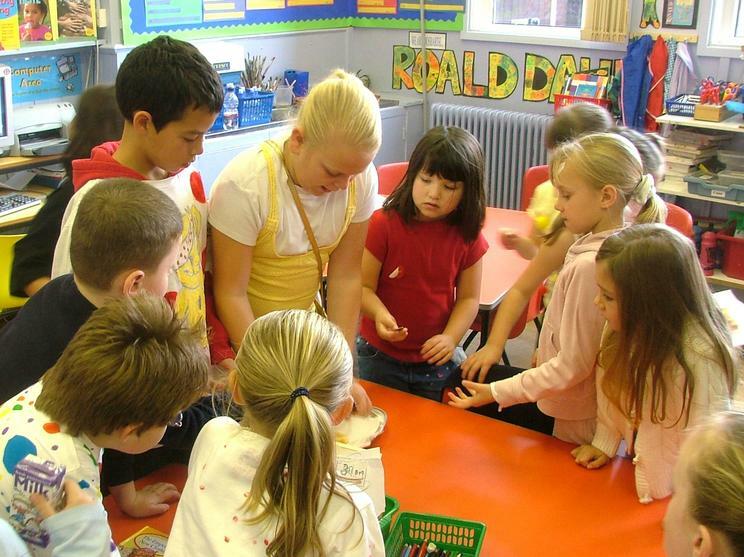 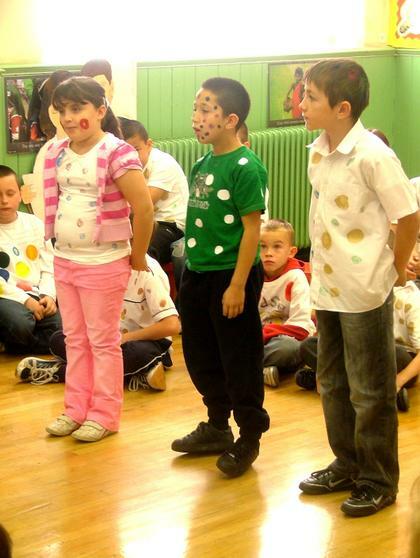 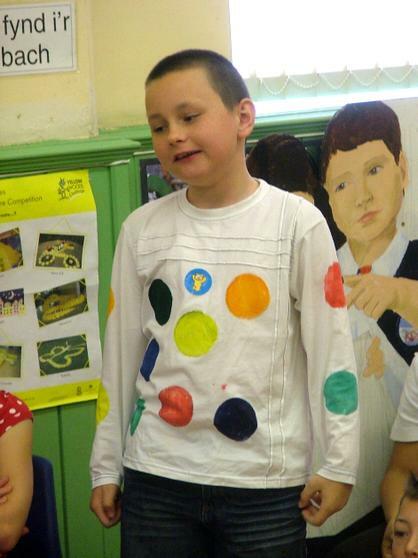 You can find out all the details about where the money you raise goes by looking on the Children in Need website here.